NEW ORLEANS - July 1, 2013 - Just in time for the Fourth of July weekend, New Orleans was noted as a top destination for affordability, attractions and holiday celebrations by readers of AAA Southern Traveler as well as leisure travel websites Priceline.com and TripAdvisor. These news outlets serve as opinion leaders for domestic and international audiences, providing the latest information on trends in the tourism industry and tips for travelers. Priceline.com ranked New Orleans&apos; French Quarter as the top destination for Fourth of July in the United States on its Top 50 Destinations list, released on June 25. The list is based on more than 30,000 hotel room booking requests submitted on Priceline.com, reflecting data from upcoming consumer travel. New Orleans was ranked among notable world-class destinations such as Paris, London, Maui, New York City and Las Vegas. TripAdvisor released the 2013 TripIndex Cities, an annual cost comparison combining the price of evening out featuring cocktails, a two-course dinner, round-trip taxi costs and an overnight stay for two in a four-star hotel. According to the TripIndex, New Orleans is among the least expensive cities for summer 2013 travel, claiming the sixth spot on the top ten list of least expensive U.S. cities. The study measured summer rates from June 1 through August 31 and reflected travel costs for major leisure travel destinations around the world. A complete list of rankings will appear in the July/August issue of AAA Southern Traveler as well as AAA.com/Traveler. "New Orleans is a top destination and one of the most authentic and culturally rich places in the world. These rankings reflect the hard work of our hospitality industry and provide further proof that New Orleans has come back stronger than ever," said Mayor Mitch Landrieu. "I&apos;m confident we&apos;ll continue to welcome more visitors every year to experience our unparalleled food, music, architecture and world-class events like the ESSENCE Festival." Celebrating its 19th anniversary this Fourth of July weekend, the 2013 ESSENCE Festival presented by Coca-Cola invites leading African-American recording artists, including Beyoncé, Maxwell, Keyshia Cole, LL Cool J and more to New Orleans. In addition to live performances, festival goers will be able to attend the first ever Family Reunion Day at Woldenberg Riverfront Park. From 11 a.m. to 8 p.m. families can enjoy performances from award-winning artists Doug E. Fresh, Biz Markie, Stooges Brass Band, the Brass-A-Holics and much more at the ESSENCE Family Day Soundstage. The Food Experience Stage powered by Walmart will present finalists of the Walmart Grilling Competition, cooking demonstrations from celebrity chefs, tastings and more. Hosted by Carla Ferell of The Steve Harvey Morning Show, the Family Reunion Day will also feature a children&apos;s petting zoo by the Audubon Nature Institute. "These rankings reflect the tireless efforts of our local travel and tourism industry professionals," said Stephen Perry, president and CEO of the New Orleans Convention and Visitors Bureau. "The people that operate our hotels, provide top tier service at our restaurants and create the unique music that can&apos;t be heard anywhere else in the world are the reasons why people continue to visit New Orleans." "More and more, visitors of every age and from all corners of the nation are discovering New Orleans as one the most authentic and unique destinations offering something for everyone," commented Mark Romig, president and CEO of New Orleans Tourism Marketing Corporation, the city&apos;s official leisure travel promotion agency. "This summer and throughout the year we have exciting offerings for every budget and every interest group, from families to honeymooners alike." Tourism is a $6 billion industry for New Orleans, employing over 75,000 people and attracting more than nine million visitors annually. New Orleans&apos; largest industry is committed to a smart growth strategy, with a goal of reaching 13.7 million visitors and $11 billion in visitor spending and the creation of 30,000 jobs by 2018, the city&apos;s tricentennial. The New Orleans Tourism Marketing Corporation promotes the city as a leisure tourism destination throughout the year. Annually, NOTMC&apos;s marketing campaigns include strategic print, broadcast, and Internet advertising and public relations. Websites: www.NewOrleansOnline.com; FollowYourNOLA.com; NewOrleansMuseums.com; RadioFreeNeworleans.com; GoNola.com. The New Orleans Convention & Visitors Bureau is a nationally accredited, 1,000-member destination marketing organization and the largest and most successful private economic development corporation in Louisiana. The CVB and its members influence thousands of decision-makers and millions of visitors to choose New Orleans through direct sales, marketing, public relations, branding and visitor services at our New Orleans headquarters and offices in Washington, D.C., New York, Chicago, Phoenix, Frankfurt, London, Mexico City, Paris and Toronto. 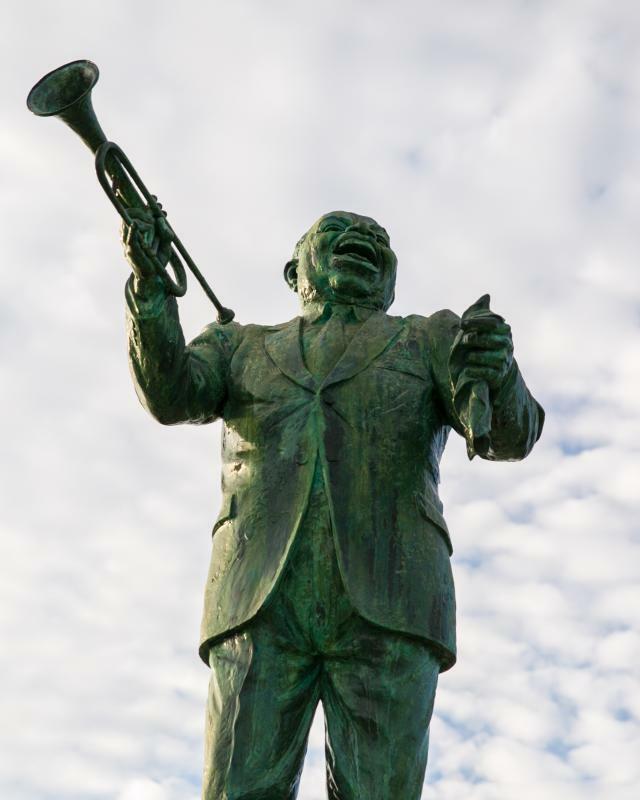 Consistently recognized as one of the top five CVBs in the country, the New Orleans CVB celebrates its 53rd anniversary in 2013. For more information, please visit www.neworleanscvb.com, www.facebook.com/neworleanscvb and www.twitter.com/neworleans.